The course will cover theory and practice in Permaculture and will be held on a developing permaculture farm in sunny Karamea at the top of the West Coast of the South Island of New Zealand. The PDC held at The Living Peace Project/Rongo Backpackers & Gallery from September 30 to October 14, 2012 will be slightly different to most other PDC’s. The full theoretical curriculum will be presented, but we will also be expanding the classroom out into the surrounding environment and conducting practical workshops so that students will go home with all the theoretical information, but also with confidence, ability and skills to put their course material into practice. Two 18-day compost piles will be built one of which will be complete by the end of the PDC. Students will partake in building a rocket stove as a practical demonstration of efficient combustion. Demonstration of the action of nitrifying bacteria and their essential role in soil biology, grey-water systems and aquaculture/aquaponics. Examining the process of extracting essential oils. Vist permaculture farms in the Karamea region. Vist old-growth forest systems in the Karamea region. Completing a permaculture design for local client as practice for consultancy. The students will also receive the diversity of 3 teachers all of whom are very experienced and knowledgeable in specific areas. Specialty subject teachers ensure the students receive the most critical information throughout the 72-hour programme. 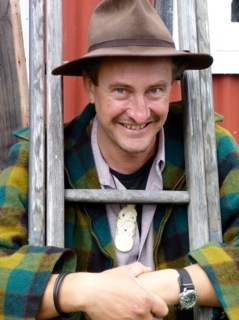 LivinginPeace Project Farm Manager, Dave was formerly a qualified builder and did his PDC with Geoff Lawton at the Permaculture Research Institute of Australia Zaytuna Farm in 2010 and joined the LivinginPeace Project as the Farm Manager in March 2012. He has taken charge of the farm development and is creating a permaculture exhibition farm to help others learn about the principles of permaculture. 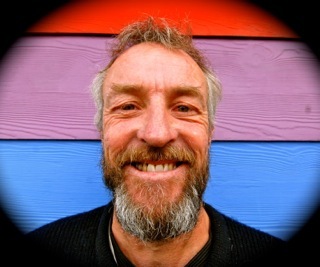 Dave is a great people-person and loves to share his knowledge of permaculture and building. 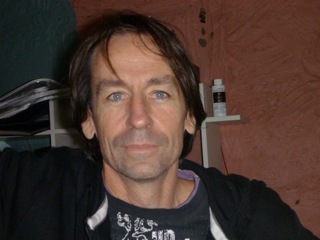 Paul is the founder of the LivinginPeace Project. Degree in Agricultural Science (horticulture) from University of South Australia (Rosweworthy). Grad Dip Arts (Journalism) University of Southern Queenland (Toowoomba). This entry was posted in Business, Education, Environment, Kahurangi National Park, Karamea, LivinginPeace Project, New Zealand, Permaculture, Travel, Uncategorized and tagged education, Environment, karamea, LivinginPeace Project, New Zealand, Organic Farming, PDC, Permaculture, Permaculture Design Course, Permaculture Research Institute of Australia, PRI, South Island, Sustainability, West Coast. Bookmark the permalink.